Positive and negative numbers, partitioning and rounding, equivalent percentages, decimals and fractions – all Y6 numeracy topics your child will cover in their last year of primary school. 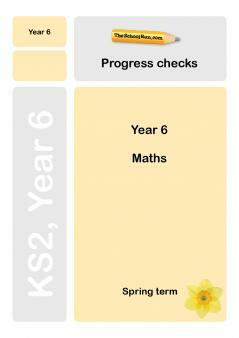 Check their progress with our Y6 maths mini-tests, designed to help you identify any areas they need to revise and work on at home. 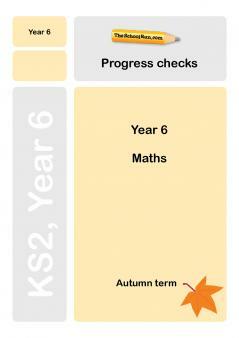 The Progress checks are designed to follow TheSchoolRun's Learning Journey for that particular term. Please note: they cannot and will not necessarily follow what your child’s teacher is doing at school this week / term, as teachers tend to choose to cover objectives in an order that they feel suits their class. Therefore, don’t worry if your child cannot complete certain questions; the point of the Progress checks is to help parents identify where children might need extra help and practice. Read our parents' guide to what your child learns in Y6 maths to find out more about the skills they'll be practising; for practical applications choose from our Y6 maths worksheets or follow our Learning Journey for Y6 maths. We also offer a step-by-step revision course for KS2 maths SATs.